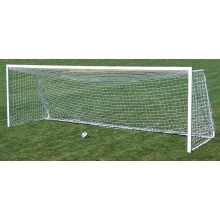 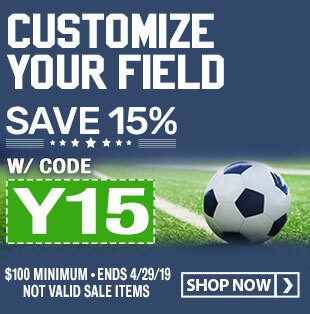 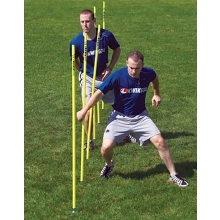 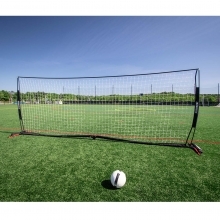 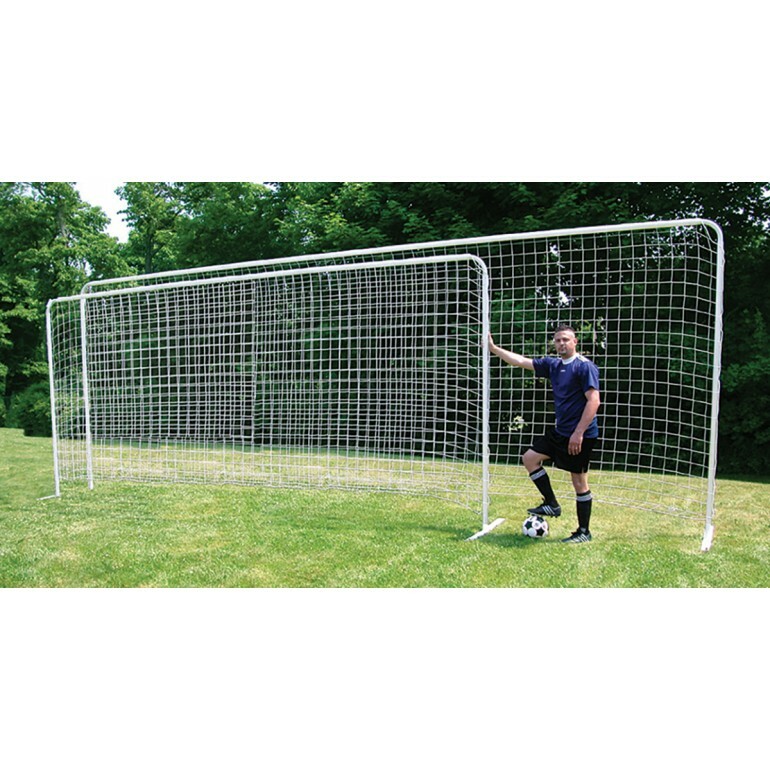 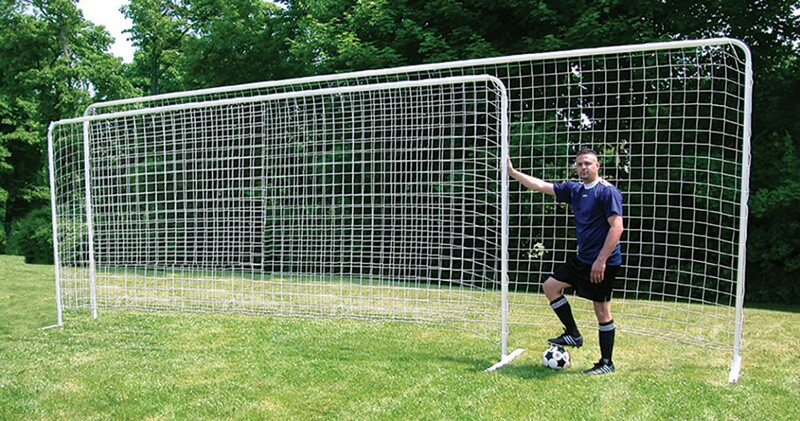 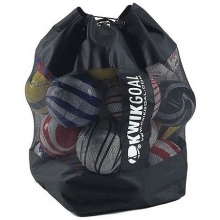 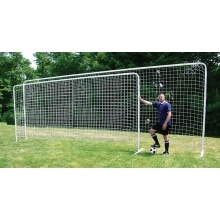 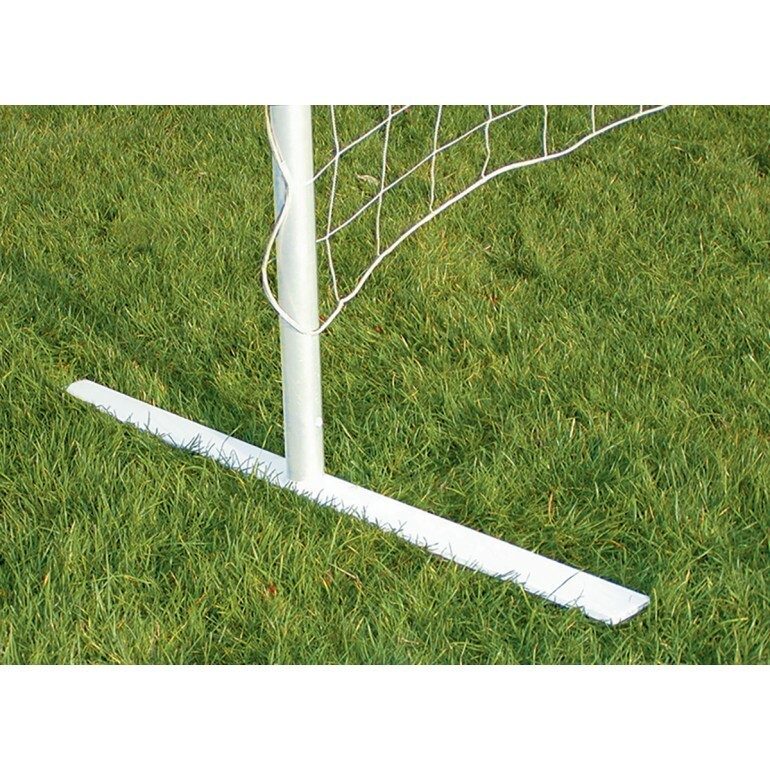 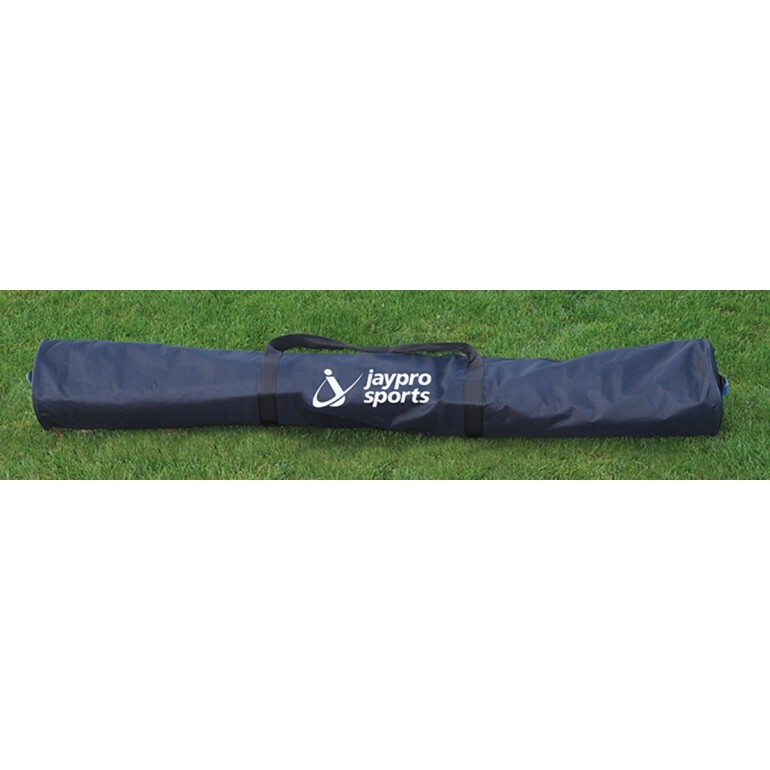 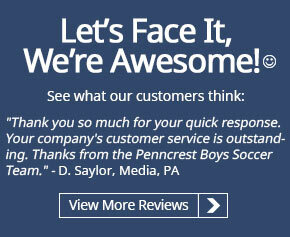 This lightweight, 7.5' x 18' stable training soccer goal is excellent for use in the European style of training. 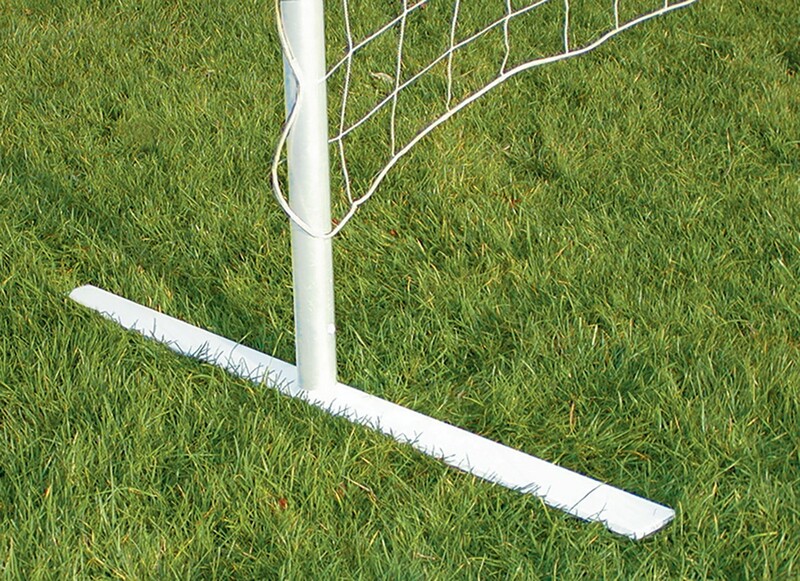 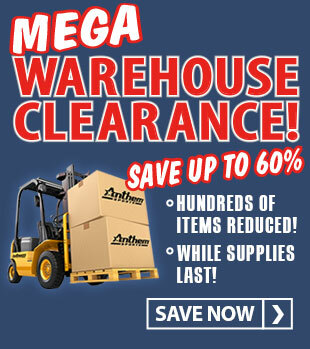 The heavy wall aluminum frame has a white powder coated finish for a great look. 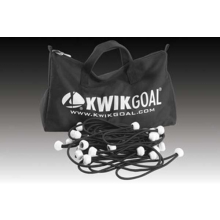 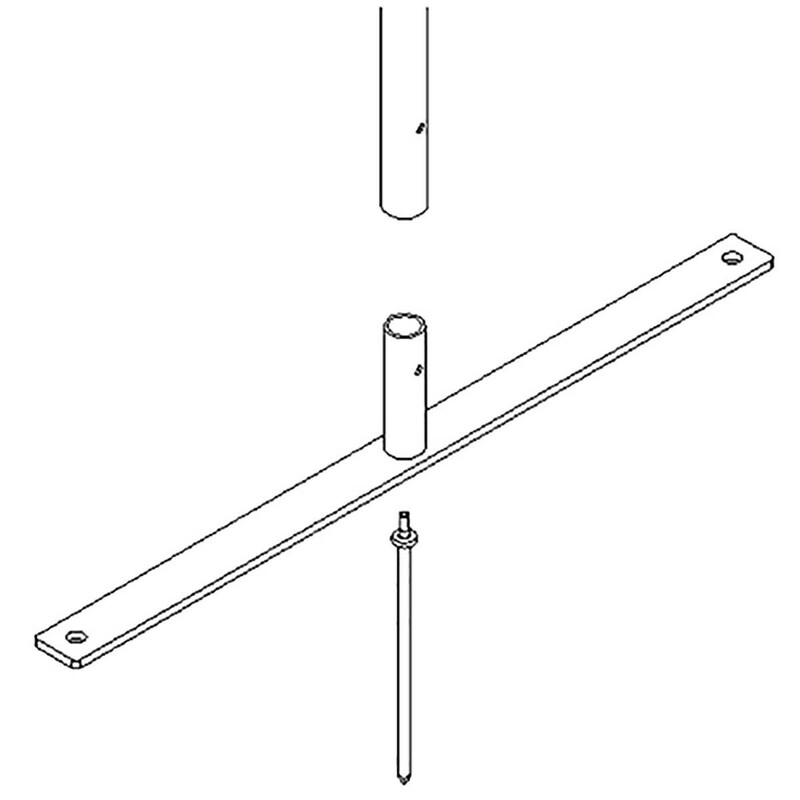 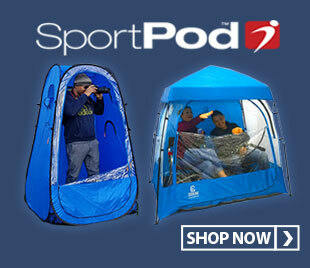 The goal sets up in minutes with push button assembly and will withstand the most rigorous practice environment. 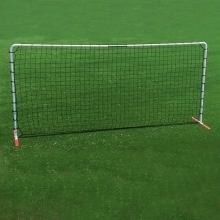 A ball will rebound somewhat off the net however the goal is not designed to produce a long rebound. 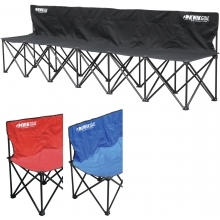 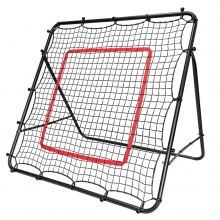 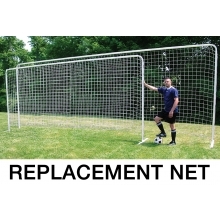 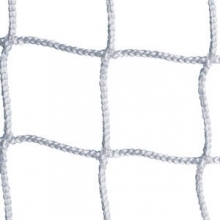 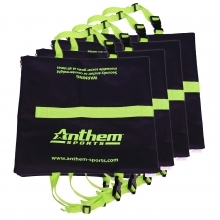 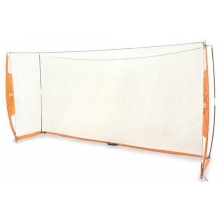 The unit includes a 4" square mesh nylon net and stabilizing ground base plates and costs much less than similar goals from the competition!